It was just like yesterday, but it is already one year of committed leadership at the Adamawa State Board of Internal Revenue. Since the ascendency of the new Chairman and the management of the board, a lot of water has pass under the bridge with new innovations introduced to get revenue for the good of the state and the society. Over the last one year, a new window was put in place in the board based on a totally new phase of commitment to deliver to the government a very cohesive tax regime so that the government can be in a better position to provide the basic needs of the people of the state. The board under the present management led by Alhaji Hammanadama Njabari remains committed to improving the patronage to boost revenue collection. The board right now is allaying the fear of the people of non-remittance of the collectible taxes or revenue into government coffers with the introduction of direct payment of taxes to the banks. This was done in order to curb the siphoning of the revenue generated to ensure accountability in the system. A new innovation was put in place with the introduction of Saturday operation at the board where motor vehicle registration, license and payment can be made. This operation has gone a long way in easing the problem of obtaining them by the people. 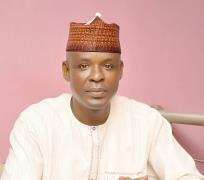 Another innovation put in place by the board under the able leadership of the Chairman, Alhaji Hammanadama Njabari, an accountant by profession is the blockage of all available routes that were used before in siphoning generated funds . This has tremendously helped the board in remitting money back into the coffers of the Government. The clear manifestation of the board under the Chairmanship of Alhaji Hammanadama Njabari is poised in conserving and protecting the Internally Generated Revenue (IGR) of the state. This led to the erecting of two Keke Napep parks at the Jimeta Main Market. Within one year, the board was able to break so many grounds due to the foresight, dexterity and total commitment of the Chairman, Alhaji Hammanadama Njabari, who is leaving no stone unturned in meeting the core mandate given to him by the government coupled with the commitment of his able lieutenants, who are putting more efforts in discharging their duties more effective and efficient. Within the past one year, the board is transformed to an enviable position by the Chairman, Alhaji Hammanadama Njabari, especially through the provision of conducive environment for the staff to discharge the functions according to the international best known practices with the complete rehabilitation of offices of the board. The welfare of staff is paramount in his mind. The Chairman, Alhaji Hammanadama Njabari, has initiated a lot of processes that are geared towards uplifting the status of the workers, more especially the training and retraining of the staff. As a board charged with the sole responsibility of generating revenue, the Chairman strategically posted the most courteous staff like Helen P.P Thomas and Pwanedi Samuel to man the reception which is the first point of call by the public. This has greatly enhanced the services of the board thereby increasing the revenue generation index to enable government execute developmental projects for the benefit of the citizenry. Priority is given to staff, who secure admission to go to school and further their education, which would greatly help the board in the future. The Chairman, Alhaji Hammanadama Njabari, has restored the confidence of tax payers that whatever they pay as tax goes into the coffers of the government so that the government would in turn develope the state and deliver the dividend of democracy to the people. The past one year has been an eventful one in the Adamawa State Board of Internal Revenue, made possible through the devotion and commitment of the Chairman Alhaji Hammanadama Njabari, who is passionately committed to the mandate of Governor Mohammed Umaru Jibrilla Bindow with the active support of the State Executive Council. The Chairman Alhaji Hammanadama Njabari, has deployed his energy and total commitment in turning around the fortunes of the board in the generation of revenue to enable the government provide basic necessities of life to the people. Some people are of the view that the present leadership of the board is up and doing in its efforts towards internal revenue collection in the state. The Chairman Alhaji Hammanadama Njabari has proved to be an impecable in the task, exhibiting virtues of accommodating colleagues and patience and has put the board on the enviable world of excellence in service. Disclaimer: "The views/contents expressed in this article are the sole responsibility of Usman Santuraki and do not necessarily reflect those of The Nigerian Voice. The Nigerian Voice will not be responsible or liable for any inaccurate or incorrect statements contained in this article."